Car accidents happen on U.S. roads every day, rain or shine. But sometimes the weather can create dangerous conditions that increase your risk of getting into an accident. If another driver was negligent during a bout of bad weather, their insurance company may use that weather as an excuse to deny your valid car accident claim. How can you fight the insurance company to recover your compensation? Personal injury law firms can help. A negligent driver may claim the weather caused them to hit your car. This may sound fair on the surface. After all, rain or snow can make the road slippery or make it hard to see through the windshield. But drivers need to operate with caution on the road during bad weather. Even if the road is slippery due to rain, it's up to the driver to drive at a slower speed than usual. This gives them the opportunity to stop and react in a timely manner to unexpected actions. For instance, you may be driving in the rain when you hit your brakes because of an unexpected road obstruction. If the driver behind you rams your car, the accident may be considered their fault because they weren't driving slow enough or didn't leave enough room behind your vehicle. Even if the other driver hydroplaned or their vehicle slid on the road, the accident may still be considered their fault because they didn't take the necessary precautions. How can I prevent an accident while driving in bad weather? You can't control if another car hits you during a storm. But you can control what you do with your own vehicle. Make sure your tires have enough traction. Make sure your windshield is clear and your windshield wipers work. Leave plenty of space between your vehicle and the vehicles in front of you. Looking for experienced personal injury law firms in your area? 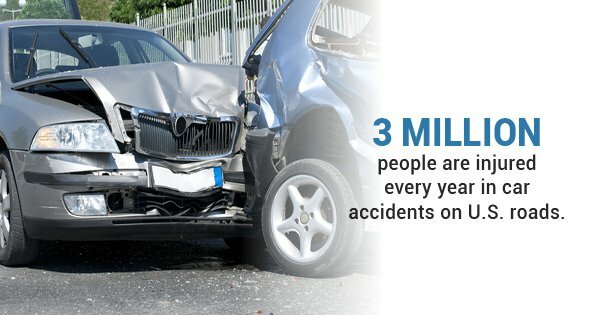 Up to 3 million people are injured in car crashes on U.S. roads every year. Some of those accidents are related to the weather, others are caused by negligence. If you've been hurt in a car accident because of another driver's negligence, you may be entitled to compensation for your vehicle damages and personal injuries. Contact the law offices of Steve Zwick today for a consultation.